Time for a Bath? Barkers of Westbourne now offers a Full Professional Dog Grooming Service for Bournemouth and Poole. At Barkers of Westbourne we offer a City and Guilds fully trained and qualified dog grooming service. With a combined experience of 10 years, Barkers grooming service will not only provide a top quality, professional service to you, but we also aim to make this an enjoyable experience for your dog. 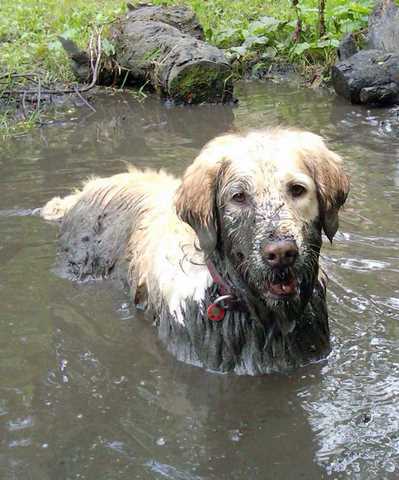 We use specialist grooming equipment and high quality paraben free products – offering only the best for your dog! Regular grooming keeps your dog’s coat clean, healthy, smelling fresh and looking great. Grooming also forms an important part in caring for his or her overall health. Keeping the coat matt free is essential in maintaining healthy skin by allowing it to breath and shed any dead hair naturally. Dog Grooming in Bournemouth and Poole with a loving and caring touch! Whether it’s a bath and tidy or a full groom that you require for your dog, at Barkers of Westbourne, your dog’s happiness is our first and main priority. Because we are pet owners and we love and care about animals we will always treat your dog with care, compassion and patience. We understand how important and special your pets are to you and we want them to feel good as well as look good when they leave us. Your dog is in safe, kind hands. We know that the grooming process can be a tiring and taxing event for any dog so we’ll do our very best to ensure your dog is well cared for whilst they are with us. We will always put their needs first. Furthermore please be advised that we also abide by the 2007 Animal Welfare Act. In section 5 it states “ALL ANIMALS ARE TO BE PROTECTED FROM PAIN, INJURY, SUFFERING AND DISEASE” de-matting is extremely painful and therefore we refuse to de-matt dogs. If your dog is matted he or she may need clipping off, clipping off a matted coat may cause nicks to his skin / skin irritation. You will be required to sign a Consent Form giving us PERMISSION TO SHAVE A MATTED COAT. PLEASE NOTE clipping off a matted coat is still an uncomfortable process for your dog. The owner should ensure that the coat is brushed regularly and thoroughly to avoid any further unnecessary discomfort to their dog. Clipping off matted coats will be charged at a higher rate due to extra time and wear/tear on our equipment. Grooming for your best friend is meant to be a pleasure not a bad experience. If you would like help or advice on how to maintain a healthy matt-free coat please ask. If your dog is very nervous about trips to the groomers I can suggest a natural flower remedy to help him or her relax. Our Creature Comforter ‘Relax’ remedy provides on the spot help for animals before, during or after any emotionally taxing, alarming, frightening or distressing event. This is like First Aid for Feelings – every pet owner should have a bottle to hand! It can be used for Emergencies, Accidents, Traumas, Fireworks, Thunderstorms, Fear, Show Nerves, Fear of visits to Vets or Groomer etc. Click here to find out more about the Creature Comforter range – or you can call me to discuss. To book your appointment with Barkers of Westbourne , simply call Alison for an appointment. We can even collect your dog and deliver them home after happy, clean and smelling sweet! See the prices page for rates.